Just in time for Valentine’s Day, I am delighted to partner with Carleton Varney in a special giveaway! 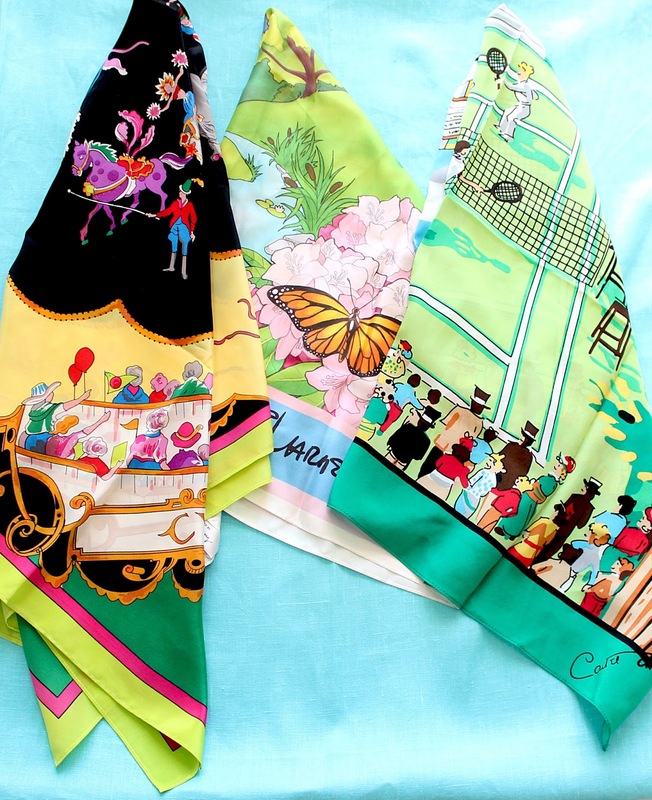 Three lucky followers of The Glam Pad will win a Carleton Varney signature silk scarf, with three designs from which to choose, including the Chapel scarf, designed for The Greenbrier. 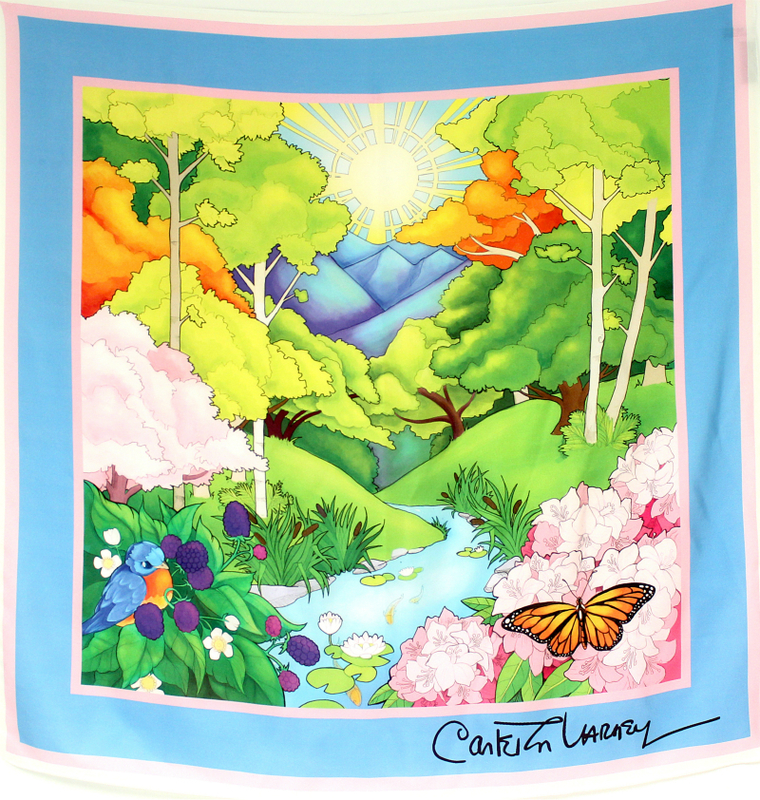 The Carleton Chapel Scarf was designed as part of the opening of the new Greenbrier chapel in 2015. 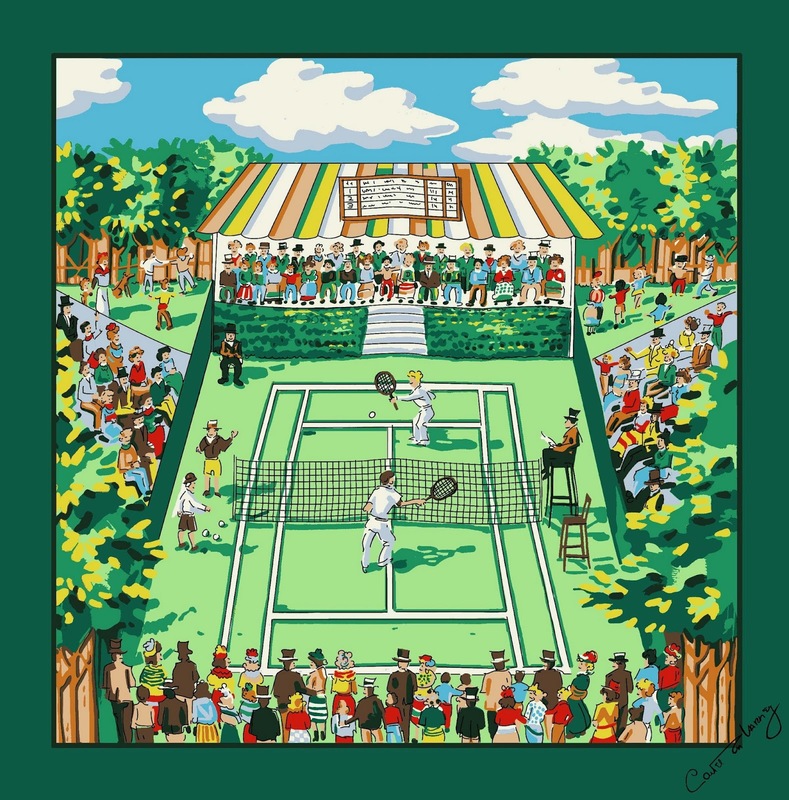 Carleton designed the interior, including the gorgeous stained glass windows on which the scarf design is based. 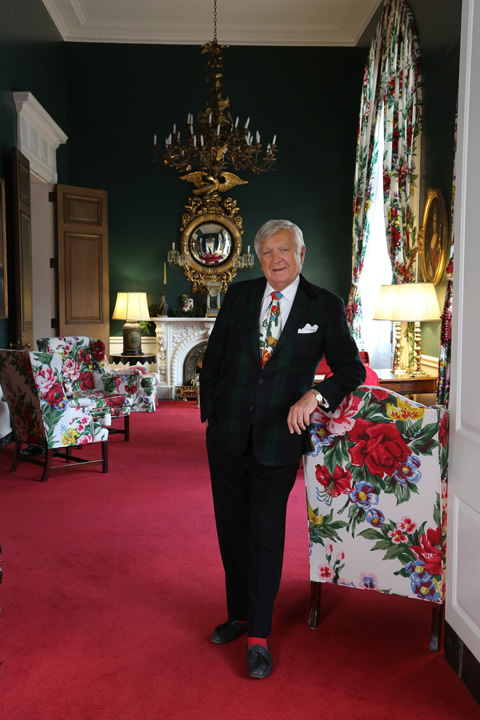 Carlton Varney is one of America’s most renowned and iconic interior designers, known for his use of bright colors, floral patterns, and color contrasts. He has led the restoration and decoration of countless hotels and resorts all over the world, and his client roster includes luminaries from President Jimmy Carter to the late Joan Crawford. 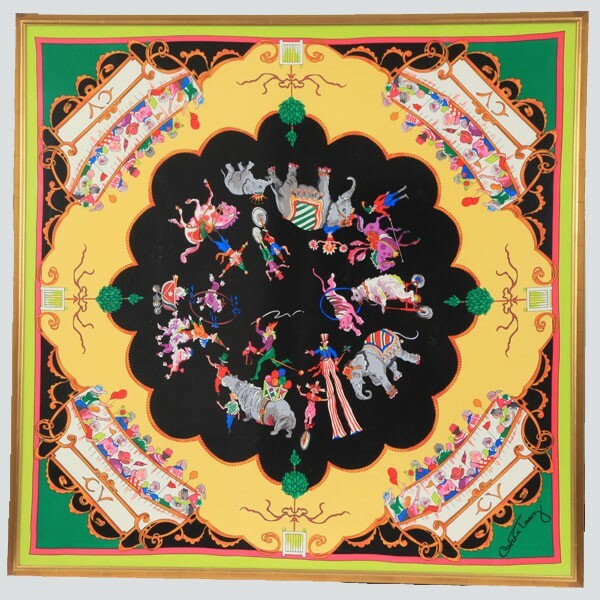 In addition to his interior designs, Varney is known for his wide range of books, products, fabrics, and exquisite scarf designs. 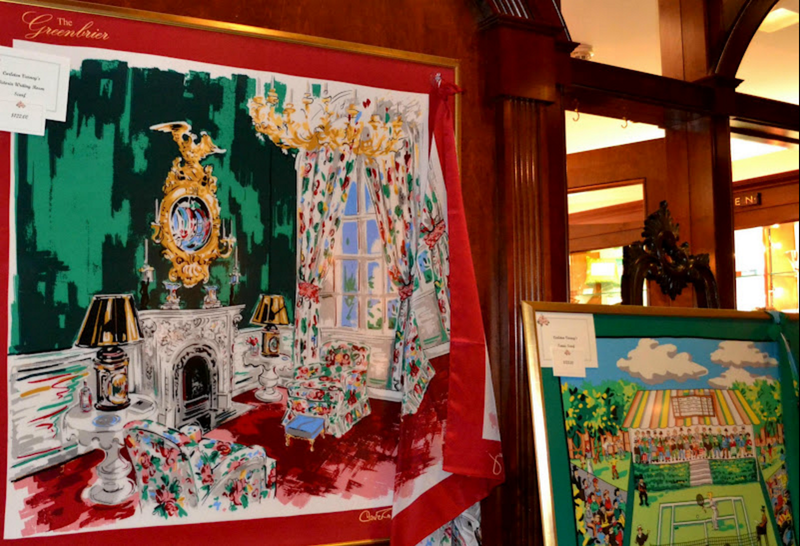 He has designed scarves for numerous United States Presidents and First Ladies as well as landmark hotels. And today, Varney is never without his signature scarf-worn-as-tie. Carleton Varney pictured at The Greenbrier wearing his signature scarf knotted at the throat in lieu of a tie. This giveaway is taking place on Instagram, so if you don’t have an Instagram account, now is the time to join! Please click here for entry details. The event closes February 14, and winners will be announced on the 15th. I am in!!!!! Running to Instagram ——>. ?